LAS VEGAS, NV and KIRKLAND, WA--(Marketwired - Jan 5, 2017) - CES -- Nytec, an award winning integrated design, engineering, and manufacturing management consulting firm providing end-to-end solutions to make consumer lifestyle technology products a reality, announced today that it is the primary hardware technology partner for Carnival's Ocean Medallion™ guest experience transformation, which was shared with the public during today's CES keynote address by Carnival Corporation CEO, Arnold Donald. Nytec is a development partner for the design, engineering, and manufacturing management of the overall Internet of Things (IoT) hardware technology and intelligence sensor network platform created by Carnival Corporation to revolutionize the guest experiences. "This has been an incredible project. Carnival came to us with a very challenging initiative that demanded the vision, creativity, and experience our global design, engineering and manufacturing teams have. We partnered closely with Carnival's experience and innovation team from concept to creation, delivering a transformative innovation enabling the world's first interactive guest experience, that will revolutionize the vacation industry," said Vice President of Nytec Product Innovation Center, Vincent Ball. "We are honored that we were chosen to help make Carnival Corporation's connected guest experience vision a reality. This perfectly aligns with Nytec's mission, and long history of successfully delivering innovative products and services over the last 41 years," said CEO of Nytec, Rich Lerz. "Nytec was among the earliest partners engaged to help us bring to life Ocean Experiences powered by Ocean Medallions. We presented them with a complex set of design and engineering challenges necessary to transform the vacation guest experience. And their team of world-class designers, engineers, and manufacturing experts translated our complex vision into compellingly simple, elegant, and viable solutions," said Michael Jungen, senior vice president of guest experience design and technology for Carnival Corporation. "Nytec's expertise and hands-on approach supported us end-to-end in delivering a guest-centric, Internet of Things approach to an unprecedented and harmonious guest experience." To connect physical and digital experiences onboard cruise ships, Nytec helped create a unique system of integrated intelligent sensors and readers and the Ocean Medallion, a technologically advanced IoT wearable built with a complex number of electronic components embedded inside. The small, lightweight, waterproof Ocean Medallion is designed to have no discernible technology -- no on/off switch, no charging, no menu to navigate. Inside each quarter-sized, 1.8-ounce round Ocean Medallion are multiple communication technologies including Near Field Communication (NFC) and Bluetooth Low Energy (BLE). It can be worn on a wristband, as a pendant on a necklace, in a clip or simply placed in a pocket to unlock enhanced services and personalized experience without guests having to push a button or take any action. The engineering team partnered with Carnival to create an invisible network of interactive intelligent sensors and embedded devices mounted throughout the ship, homeports and destinations linking hardware and software for a unified Experience Platform. The network can be deployable on any ship regardless of its age or size. Each element of the complex shipboard platform was developed to withstand environmental challenges and reliably deliver seamless connections. Nytec's engineers also partnered with Carnival's Experience and Innovation team to test and refine approximately ~75 miles or ~120 km of wires, ~6000 sensors, and ~650 readers, plus additional software networking requirements that enable the Ocean Medallion bring the guest experience to life. A Smart Display System inside every stateroom -- Guests have personalized concierge experience, easily manage their stateroom and daily itineraries, and can keep up with the latest on-cruise activities from the personalized 55" touch display. In addition, Nytec contributed to numerous other value added innovations like food service displays, Digital Media Players, In-room smart controls, etc. The unique network of systems created not only serves as a foundation for the Ocean Medallion Class Guest Experience, but also allows the corporation to achieve enormous operational efficiencies like streamlining in-room cleaning, overall labor, eliminating paper, and many other benefits. Princess Cruises will be the first cruise brand in the corporation's fleet to feature the enhanced personal service when Medallion Class Ocean Vacations™ début on Regal Princess in late 2017. Each Ocean Medallion is engineered, manufactured with the latest technological innovations, and personalized with laser engraving for every guest. 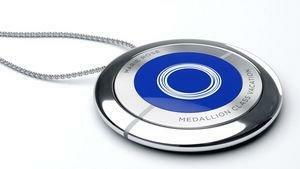 Guests receive their Ocean Medallion in advance of their trip. Nytec is an award-winning, integrated consulting firm with over 40 years of proven success turning ideas into real, first-of-a-kind, lifestyle technology products for tier-one global and Fortune 100 companies. Nytec's world-class designers, engineers, and manufacturing experts specialize in translating complex problems, anchored around delivering the ultimate user experience into compelling, simple solutions that span hardware, software and services. With a global footprint of dedicated employees, Nytec's industry-leading Client Services Division provides customizable talent solutions to satisfy any staffing requirements, either onsite, offsite, or project based. Nytec is also able to manage highly complex projects end-to-end at their Product Innovation Center, equipped with cutting-edge design and engineering labs. Nytec's unique business model and sophisticated facilities allow clients to push beyond the boundaries of technology, and creatively solve challenges across design, firmware, electrical and mechanical initiatives to engineer complete solutions. With offices around the world, Nytec teams work seamlessly with a vast portfolio of trusted manufacturing partners, to ensure every detail is refined, from start-to-finish, creating exceptional design, execution, and quality. Nytec's integrated end-to-end management approach delivers the right product, with the right experience, at the right time. For more information, please visit http://www.Nytec.com or call +1.425.968.5715. Carnival Corporation & plc is the largest leisure travel company in the world, with a portfolio of 10 cruise brands in North America, Europe, Australia and Asia comprised of Carnival Cruise Line, Fathom, Holland America Line, Princess Cruises, Seabourn, AIDA Cruises, Costa Cruises, Cunard, P&O Cruises Press & (Australia) and P&O Cruises (UK). Together, these brands operate 102 ships visiting over 700 ports around the world and totaling 226,000 lower berths with 17 new ships scheduled to be delivered between 2017 and 2022. Carnival Corporation & plc also operates Holland America Princess Alaska Tours, the leading tour companies in Alaska and the Canadian Yukon. Traded on both the New York and London Stock Exchanges, Carnival Corporation & plc is the only group in the world to be included in both the S&P500and the FTSE 100 indices. Additional information can be found on www.carnival.com, www.hollandamerica.com, www.seabourn.com, www.aida.de, www.costacruise.com, www.cunard.com, www.pocruises.com.au, www.pocruises.com and www.fathom.org.